November 11 at 11.11am marks the 100th anniversary of Armistice, the end of World War I, and at that very moment tomorrow morning a silent procession of 607 individuals, dressed in the civilian garb of 1918, will make their way down the centre of Sligo town. Each of those individuals – mostly men aged 18-45 – will represent one of the 602 volunteers and five civilians, including two women, who lost their lives during the Great War. Organised by Blue Raincoat Theatre Company’s Malcolm Hamilton and Niall Henry, it will be a poignant tribute, and one which could not have been conceived without the exhaustive research of local historian Simone Hickey. Over the course of four years she has charted the tragic stories of many of the estimated 5,000 Sligo men who enlisted, as well as those of their devastated families. Groups of men enlisted together; men who worked together as well as families of young men – brothers, sons, cousins. “Thirty six tailors from the Henry Lyons Company left to fight and six didn’t return,” says Simone. “There were 11 printer compositors from the Sligo Champion and Sligo Independent who enlisted but six did not return. Patrick Clarkin from Lough Gill enlisted underage but was ultimately sent overseas and killed. His father was a widower and Patrick was his only son. There were Hamiltons, Robinsons, Callahans too from all over the county, from the smallest townlands to Sligo town itself. Overall 28 per cent of men who were eligible to fight – aged between 18 and 45 – signed up over a four year period. 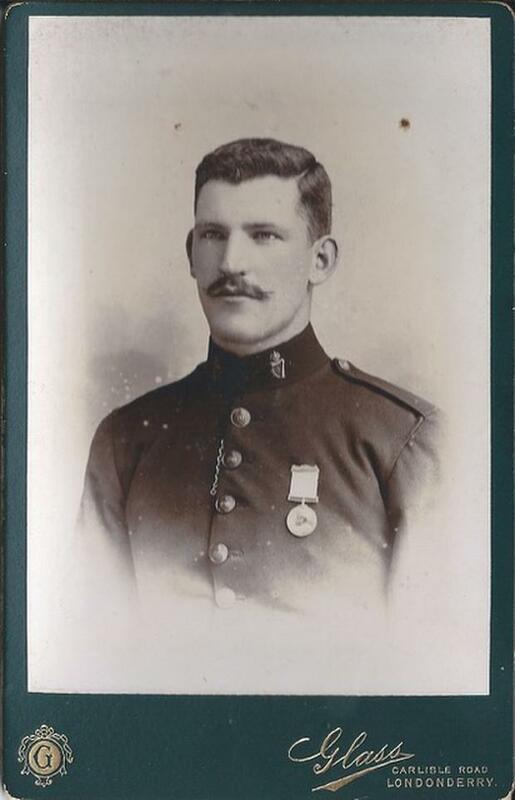 Simone's own great-grandfather, Terrence Rooney from Barrack Street, was one of the aforementioned compositors who went to war. He was 37 years old and a father of five (with another on the way) when he signed up in 1915. 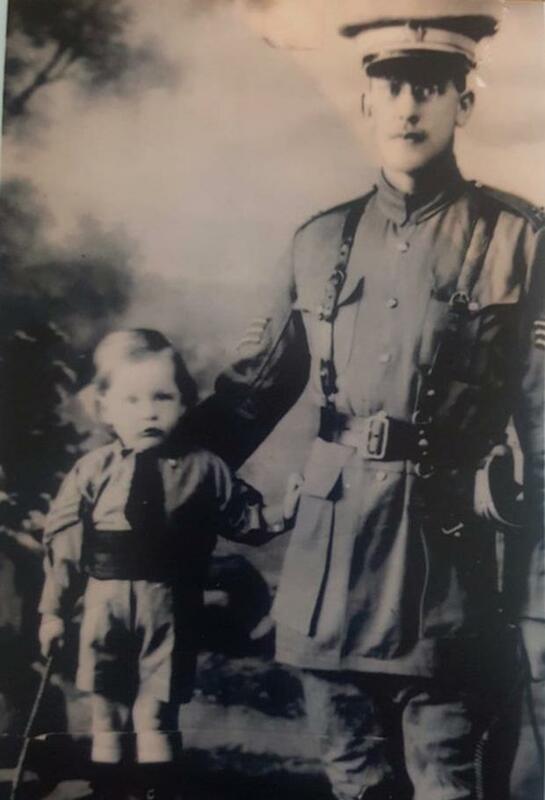 He survived the Somme but died in March 1918 and never had the chance to meet his sixth child. “Why did he leave his wife and six children? He had a decent job at the time – it wouldn’t have been the best paid but it would have been secure,” says Simone. She adds, “The motivation for men wasn’t purely economic, it was peer pressure, through propaganda, through the Catholic Church, through politics, their workmates and families. “They had no television and a lot of them were illiterate so they focused on what was told to them in broadcasts, on the streets, and the propaganda of posters. Anybody who was anti-war or published anti-war material was prosecuted so all the poetry, song books, pamphlets were pro war and all about doing your bit. 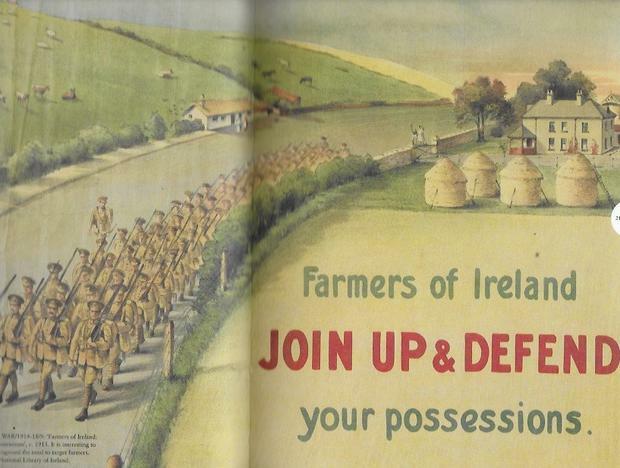 When the British Army’s numbers were decimated and reserves were required, the propaganda posters were targeted more specifically to the Irish audience, with the addition of Irish iconography like the harp, the greyhound, and Saint Patrick. 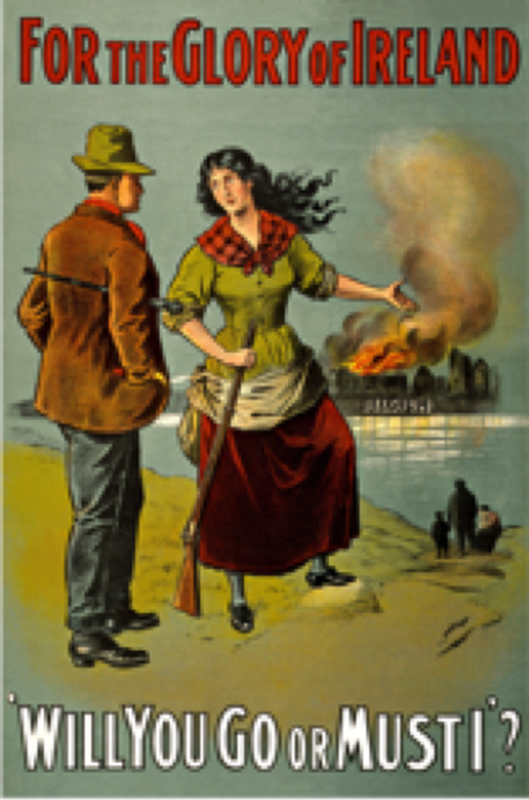 Following the Easter Rising in 1916, however, attitudes changed. By the time those men who had survived the war returned from the front they did not receive a welcome that reflected the sentiment when they had left. While the wider community has largely forgotten these men one hundred years later, so have many of their descendants and Simone hopes that Sunday’s silent procession will ensure they are acknowledged and remembered on this landmark anniversary. The event is non-political, something which was very important to her. Many young men from across Sligo will walk in the procession, including members of the local rugby club. Simone and her husband Tom will represent Emily Barlow and R.W. Morrison, two of five Sligo people who died about the R.M.S. Leinster on October 10, 1918. Following the procession, at 1pm the sod will be turned on a new garden of remembrance for the men and women who lost their lives. There will simply be eight standing stones with the names of the men and again it is non-political so there will be no mention of military regiments or ranks. “There is still animosity towards people talking about the war and the wearing of the poppy and we don’t want to cause friction. It’s simply time to remember the dead men who never came home,” says Simone. Protestant farmer John Irwin Higgins from Farranaharpie, Skreen, Co Sligo was married to Mary and they had ten children of whom eight were boys. Four of the boys - Hubert, Edward, Lewis Charles and John Robert enlisted in different regiments. 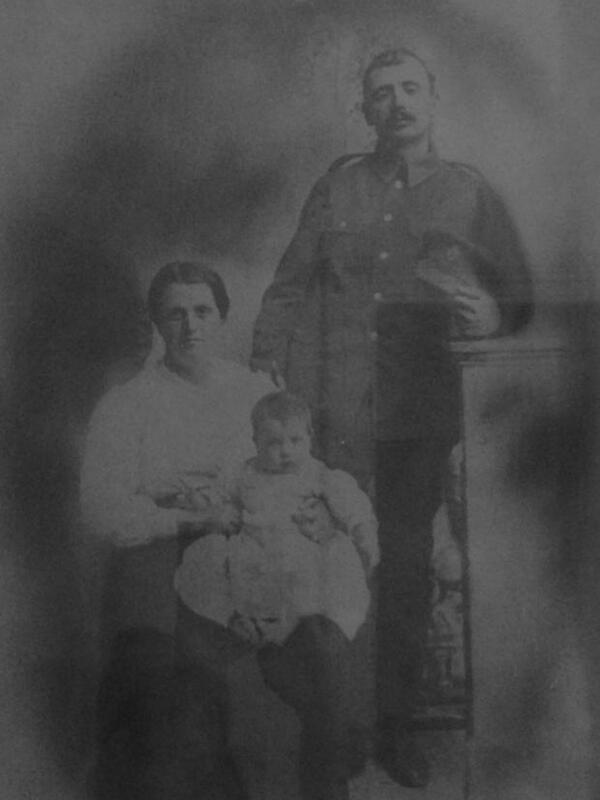 Mary died in 1916 before John Robert was killed in action the following year. Three weeks after his tragic death in France their father John Irwin died. Lewis Charles died in February 1918 and in December that year Hubert also passed away. The silent procession will leave from Quay Street in Sligo at 11.11am on Sunday and will conclude at the war memorial at the top of Mail Coach Road.